The most accepted definition of a title insurance policy is that it is a contract of indemnity. It does not guarantee or represent that the title to property is in any particular state or condition. Rather, it insures the insured against loss compensable under the terms and conditions of the title insurance policy by, and subject to, the terms, conditions, exceptions and exclusions of the policy. That may sound complicated but what it essentially means is that a title insurance company will step up and defend your title, cure a title defect, or pay a loss suffered as a result of a title defect, but will follow the rules set forth in the title policy and the laws of the state the policy was issued. After closing, should a defect in the title arise, the title insurance company would then be liable to the policyholder’s loss up to the amount of the policy, subject to the policy’s terms and conditions. During the course of a real estate transaction, the attorney or title company serving as escrow agent will give the buyer an opportunity to purchase an owner’s policy at the time of closing. If the buyer is borrowing money to purchase the property, the buyer’s lender will likewise want a title policy to insure the validity, enforceability and priority of its purchase money security interest (mortgage or trust deed). When a prospective buyer applies for a mortgage, the lending institution will, in order to ensure the marketability of its loan, require a lender’s or mortgagee’s policy of title insurance. Before approving the mortgage, the lender will want assurances that title to the property will be vested in the buyer, and that its lien will have the record priority as per their instructions and likewise be insured in the policy as such, and that the security instrument is a valid and enforceable lien against the property. Since the title insurance company is issuing a lender’s policy, the borrower will most likely save money by purchasing both policies (owners and lenders) at the same time. 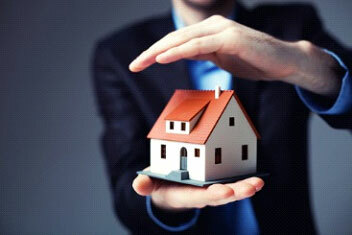 With an owner’s title policy, the owner is insured that title to the property is as stated in the policy and that he/she is covered against any party claiming an interest in the property and encumbrances which might adversely affect his interest, except for those encumbrances that are listed on schedule B of the policy. He is also assured that should defects or problems with the title occur in the future, the title insurance company will pay for the defense of his title. Older title policies used to only provide coverage for title issues which happened in the public records and prior to the issuance date of the policy, however newer form title polices provide coverage for on and off record matters, as well as matters which transpire after the date of the policy. The ALTA Homeowner’s Policy for example provides excellent coverage against on and off record title issues which transpired before and after the issuance date of the policy. One final note is that a clarification needs to be made between an owner’s and lender’s policy of title insurance. A lender policy provides different coverages than that of an owner’s policy, and the insured under a lender policy is the named lender or mortgagee, not the vested owner of the property. Therefore, as a buyer of real estate, it is a wise decision to invest a small amount of money and gain the protection that a title policy brings if there is a complete failure of title due to a prior claim or defect. Because in the end, you can rest assured that it will be the title company on the hook for curing or defending your title and not you should a claim arise after you purchase the property. Reli Title is Alabama’s largest title company. We are also licensed in Tennessee and in Florida though our affiliate, Reli Title, LLC. If you would like more information about our title and settlement products and services, please visit our website at https://reli.us/index.html, or give us a call today at 205.970.2200. Receive industry insights and trends direct to your inbox each month.